How to Buy a Property With No or Low Money Down! Most of us have heard that it is smart to have 20% downpayment to purchase a home. And it is. Your payments will be lower, less interest will be paid over the course of the loan with a large downpayment. However, if you are using these loans as a vehicle to purchase an investment, meaning not just a place to live but to make money, it can be a wise choice for a variety of reasons to come in with no or low down payments. There are also people who just prefer to own a home, though sometimes it does not make sense. Check out this article about the pros and cons of homeownership: What you need to know before you buy a home! 1. FHA – Federal Housing Administration. 3.5% Downpayment. Pros: Low down payment, good for up to 4 unit properties, accepts lower credit scores. It does not have to be your first home or only loan, just your only FHA loan. Cons: MIP (Mortgage Insurance Premium) this is additional insurance you must purchase and pay monthly with your mortgage which lowers buying power. If you are competing with other offers with everything but the financing being the same, FHA tends not to get the contract. This is because FHA loans have a base quality standards the house must maintain to loan on it, and the lender will often require repairs. Pros: No down payment, good for up to four-unit properties, mortgage insurance is only a one-time premium which gets wrapped into the loan. Cons: None to speak of. If you have access to a VA loan you should have a house. Cons: Not as widely advertised, PMI (Premium Mortgage Insurance), this is additional insurance you must purchase and pay monthly with your mortgage which lowers buying power. 4. Seller Financing (Seller Carryback, Land Contract) – terms vary widely but can be low or no downpayment. Pros: You are dealing with a person so you may be able to negotiate your terms as there are no standards anyone is being held to. Closing fees will be lower as the mortgage company will not be charging fees such as the origination fee. You can sometimes get this type of financing with lower credit scores. Cons: They are harder to find, most people just want all the cash up front when they sell. The interest rates can be much higher than standard loans. When you default on a seller financed home the property reverts to the owner and does not go through a standard foreclosure or trustee auction. Pros: No downpayment, low-interest rates, not just rural also encompasses small towns, available to people who would normally not qualify for loans. Related: How I never have to pay another penny for my retirement at age 34 on a 30,000 per year salary! 1. Negotiate in 3% closing cost coverage into your purchase offer. This will cover all other fees and leave you with just the down payment. Be considerate of the seller though and know that this is worse for the seller then selling the property for 3% less due to commissions. 2. Purchase a HomePath.com property. These are foreclosures and short sales. They have low 3% down payments and often give 3% in closing costs. They also work to accommodate the first time buyer, giving some homes owner occupant preference and try to make it easier to qualify for. 3. Pathway to Purchase Programs. This program may or may not be renewed with the changes in the government. It was downpayment assistance program. There are income and purchase price limits, but they are relatively high. There is a limitation to what cities the program is in. For Tucson, AZ they would give up to $20,000 toward your mortgage. 4. NHF Grants (National Homebuyers Fund Inc.). http://www.nhfloan.org/programs/index.shtml Non-repayable grants up to 5% of the mortgage amount. Not available in all states. Low to moderate income requirements. 5. Other Downpayment assistance programs. Check out http://downpaymentresource.com for a search of programs you could be eligible for. 6. 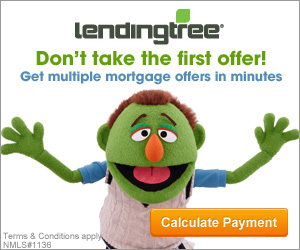 Ask your lender to see what fees they will waive. I have found the big lenders more willing to waive fees than small lenders. Small lenders tend to work harder to get borderline qualifiers into loans though! Do you have any experience with any of these? Any that I missed?